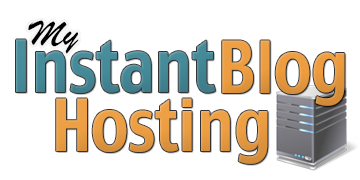 MyInstantBlog Hosting isn’t just your average hosting service! When you sign up for MyInstantBlog Hosting you’re signing up for an entire WordPress Success System! The primary benefit of a MyInstantBlog hosted WordPress site is the monthly included licenses* for high end plugin tools such as BloggingToolBox and MyInstantTheme For Business, and so much more! Annual subscribers get access to Multimedia Toolbox! These expert tools and software combined with Rock Solid dependable cloud based hosting make this the most advanced and affordable WordPress system in the world! Access to our recommended selection of powerful WordPress Plugins! Additional Hosting Services and Addons! Can be added at the time of order, or at a later date from your customer dashboard. Extra Blog Installation - This addon allows you to install one additional blog, either as a top level or sub domain. All software and plugin licenses from your primary package will be extended to this site. Dedicated IP Address - A single dedicated IP address for your site or sites. *Licenses for products such as BloggingToolBox, MyInstantTheme, and MultimediaToolbox are only valid as long as a monthly or annual subscription is maintained. Licenses can not be transferred off of the service or used anywhere other than a site hosted withing the MyInstantBlog hosting system. Additional off hosting licenses can be purchased on this site. Copyright © 2010-2014 MyInstantBlog.com - A Service of BoomerCo Inc. - All Rights Reserved.